I am happy and excited to announce my very first children’s fantasy novel, Dragon Diplomacy, is now available in print. The Kindle edition is available for pre-order now, and will release at the end of the month. 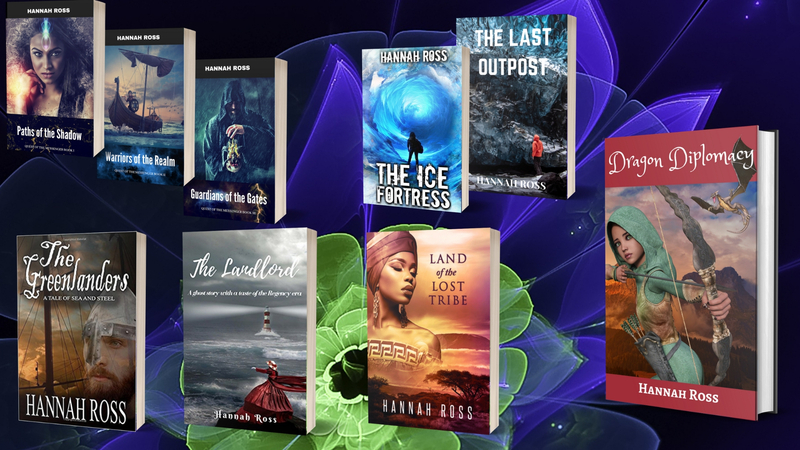 As all my fiction books, it is published under the pen name of Hannah Ross. I really can’t say this often enough: I appreciate and love the readers who support me by buying my books. Without you, I would never be where I am today, with 12 novels and 4 nonfiction books under my belt, and more to come. So a huge thank you! You make me doubly excited about sharing my writing with the world, and you rock. If you are fans of environmental science fiction, I hope you check out my new novel, The Last Outpost, now available both on Kindle and in print. It is set in Antarctica, with its theme being the precarious balance between man and nature. Also features a mysterious indigenous tribe, an outrageous government conspiracy, and ancient monsters sleeping under the ice. “Scott “Buck” Buckley, an environmental scientist, accepts the position of general overseer at the McMurdo Antarctic research station. After signing a secrecy declaration, Scott becomes privy to the existence of Geyser Valley, an area with a unique warm microclimate, which is home to the mysterious indigenous Anai people. In an outrageous conspiracy, the world governments are keeping the existence of these people a secret, to avoid limitations on the division of land for natural resources. 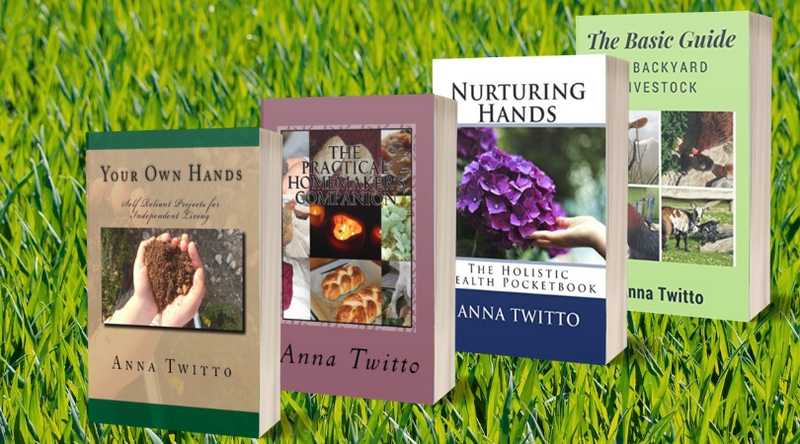 I’m also looking to hand out 5 review copies (in digital format), so if you are interested, please get in touch with me through the contact form. Thank you! First off, I would like to thank all the amazing people who left me comments and private messages following my last post. We are slowly coming to terms with the tragedy, and I was finally able to sleep a whole night. Above all, I’m praying for strength for my poor friend and her children, and for wisdom for our government, who must finally wake up and understand that the only way to increase its citizens’ safety is by harsh measures and an unapologetic stance, rather than by finessing and beating around the bush and PC talk. 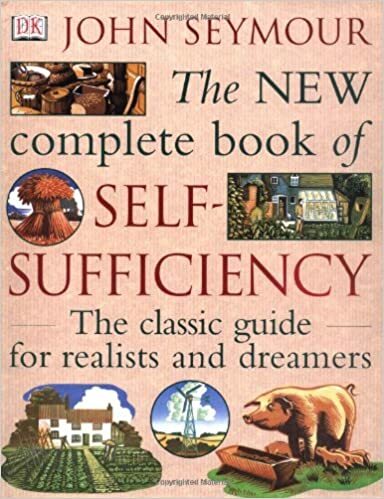 In the sleepless nights that have been my share this past week, I’ve been reading John Seymour’s The Complete Book of Self-Sufficiency. There’s nothing to take one’s mind off things like reading about malting or raising goats. Though much of the information in there will never be relevant for us (such as anything that has to do with raising pigs and rabbits), I’m loving the book; it’s the ultimate, most well-rounded and practical DIY guide to all things a homesteader, on whatever scale, might need, from tilling land to baking bread, from building fences to raising and managing livestock, and everything in between. Sure, it branches off into chapters that have enough fodder for specialized books on their own, and the savvy reader can find manuals that focus on, say, just animals (such as, for instance, my The Basic Guide to Backyard Livestock, and other, more detailed works) but it’s the best introductory condensed guide to self-sustainability I’ve read so far. “The 9-th century A.D. is drawing to a close, and Simien, a Hebrew domain in the heart of Africa, feels the threat of its powerful Christian neighbor, the Kingdom of Aksum. Now available in print, and at a limited-time launch price of 0.99$ on Kindle.